Have you ever wondered about “mediumistic trance”? What is its purpose? Are there different “levels” of trance? Is “channeling” a “New Age” term for the same thing? Now you can explore these and other questions about trance with Neal, who is himself, a trance medium. You will also have the opportunity to explore your own ability to express some level of trance during the workshop, and receive tools to continue the development of this gift. We will spend the morning exploring aspects of some of the most well-known trance mediums, past and present, such as Edgar Cayce, Esther Hicks (Abraham) and Veronica. We will review various definitions of the levels of trance, and how its development might be encouraged and enhanced. Neal will also include a trance demonstration with the help of some of his spirit guides. The afternoon will include experimental sessions with students who wish to unfold and or enhance this gift of the spirit. These experimental sessions will broaden your understanding of how you might experience some aspect of this state and share it with others. We will wrap up the day with a final discussion and review of what was experienced by those in attendance. Please join us for a day of exploration. Rev. 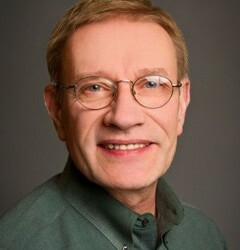 Neal Rzepkowski, MD, is a member of the Fellowships faculty. He studied Spiritualism and mediumship during college and medical school, and was ordained a Spiritualist minister in 1978, the same year he became an M.D. He found himself “channeling” for the first time at a home circle he attended regularly during his third year of medical school. Neal is a past President of the Lily Dale Assembly and a Lily Dale Registered Medium. Although currently not a main focus of his work, his guides do enjoy speaking through him in trance from time to time, and are looking forward to this workshop.